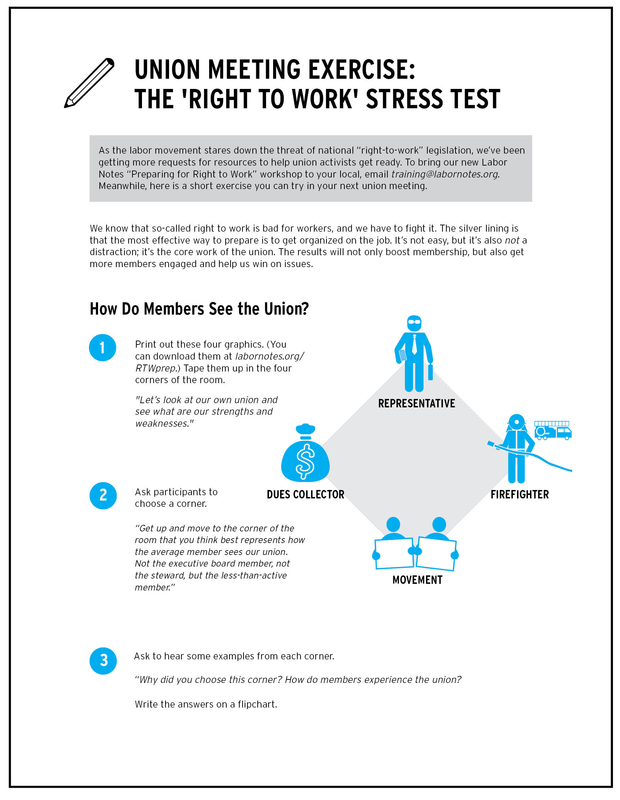 Try this exercise in your next union meeting to start a conversation about how members see the union now. We know that so-called right to work is bad for workers, and we have to fight it. The silver lining is that the most effective way to prepare is to get organized on the job. It’s not easy, but it’s also not a distraction; it’s the core work of the union. The results will not only boost membership, but also get more members engaged and help us win on issues. How Do Members See the Union? 1) Print out these four graphics. (Click here to download the graphics, along with these instructions.) Tape them up in the four corners of the room. "Let’s look at our own union and see what are our strengths and weaknesses." 2) Ask participants to choose a corner. 3) Ask to hear some examples from each corner. Write the answers on a flipchart. What Experiences Do Members Have with the Union? 4) Sum up the types of experiences you heard, and organize them into three categories: Negative, Transactional, and Inspirational. Negative: The union is the organization that takes money out of my check. Transactional: The union is the organization that negotiates our contract and health insurance. We pay dues and we get back our money’s worth. Inspirational: The union is our organization. My participation matters, and our power is collective—we all have each other’s backs. 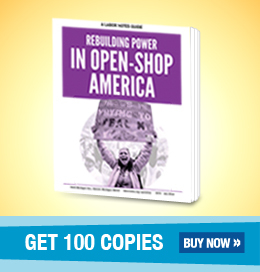 How Can We Start to Transform Our Union? “Of the three types of experiences, what keeps members involved for the long haul? The fundamental task is to help members see the union as our organization, where our power comes from standing up together. How do we do that? The union has to have a visible presence in the workplace, and has to fight for things members care about. Click here to download a printable version of this exercise, including the graphics and instructions.